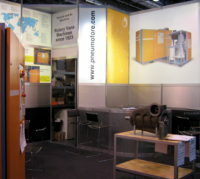 In October 2012 Pneumofore took part in Scanautomatic and ProcessTeknik exhibition for the first time. Even though our company was just a visitor, this event has exceeded our expectations. 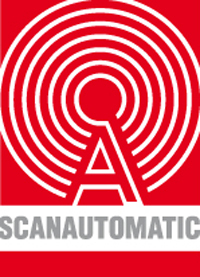 Scanautomatic can boast 40 years as the Sweden’s largest meeting place for the manufacturing and automation industries. It is a cross-industry trade fair. The most important visitor groups are machine makers, designers (both mechanical and electrical), system integrators and technical consultants. Besides, of course, the heads of operations and maintenance, production and project managers. The number of visitors was impressive. So impressive to consider Pneumofore as exhibitor in the 2014 edition. We strongly believe that this fair will help strengthen the already significant presence of Pneumofore on the Scandinavian market. Glasstec 2012 proved again its quality as a fair of innovations and the world’s leading meeting point for the hollow glass industry. The general feeling was good, with clear positive signals for this sector. For Pneumofore, Glasstec represents one of the most important exhibitions: it is the opportunity to meet several key contacts from all around the world in order to evaluate results on productivity using our vacuum systems and to discuss new projects, but it is also a chance to exchange experience with other OEM working in the glass industry. This year the presence of Pneumofore was particularly significant since we were the only manufacturer of large vacuum systems present at the exhibition. This confirms our key position in the market with vacuum solutions based on solid experience. Continuos work, little maintenance and trouble free operation make our UV vacuum pumps a unique sale proposal: a solution that meets the latest criteria of efficiency and environmental protection. During this last edition Pneumofore presented a UV16 vacuum pump equipped with PLC control. Can Tech International is one of the leading magazines for can producers worldwide. It is published in UK and in English, the appearance is elegant, the contents are mostly technical. Bell Publishing is also the organizer of the yearly conference Asia CanTech, a regular date for Pneumofore. The 2011 edition found place in Ho-Chi-Minh City, Vietnam, whereas the 2012 one from 29 to 31 October was in Bangkok, Thailand. The 2013 edition is scheduled in Jakarta, Indonesia. The October 2012 Can Tech magazine issue shows in the Production section the three page article by the CEO of Pneumofore, with title ‘Vacuum Solutions for Can Production Lines’, copies are available upon request. This article generated interest, as more than 50% of the electrical power bill in can plants worldwide is caused by vacuum pumps and air compressors. Being these facilities of secondary importance, the correct choice of pumps and compressors is sometimes neglected. The continuous 24/7 operation of such energy-intense devices pretends modern and efficient solutions to avoid excessive repair and electrical power costs: ideal frame conditions for Pneumofore vacuum pumps and air compressors since their long term, total cost is proven to be the absolute lowest available on the market today. Too much confusion and fog in the air compressor and vacuum pump markets worldwide ! Catalogue data are rarely true and damage all the companies involved in this industrial sector. To make things clear, Pneumofore demonstrates practically its rotary vane technology. During a recent visit of our distributors in the Pneumofore workshop at the headquarters in Rivoli, priority and proof was given to and by machines and performance with on-time measurements of efficiency. We see in the picture left our CEO presenting personally to 25 people the evolution of rotary vane technology, starting from 1923 with the first single stage rotary vane compressor mod. A12, water cooled. The first generation of Pneumofore, in the person of Eng. Jacob Hilfiker, finally designed the F360 with 400 kW nominal power, water cooled. Vertical layout, air cooling, intensive oil injection were achievements of the second generation with Eng. Alfred and Robert Hilfiker. In this tradition celebrating 90 years in 2013, Daniel Hilfiker, mechanical engineer again, explains why and how our small yet very dynamic Company keeps the world record of lowest Life Cycle Cost of heavy duty industrial air compressors and vacuum pumps. We take the chance to truly and deeply thank all those interested in long-term solutions with the minimal cost and environmental impact. Italy is world famous for impressive architecture, paintings, music and much more artistic value. 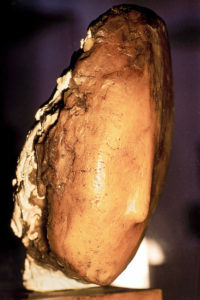 A major Italian sculptor of the last century is Medardo Rosso. His artwork has been photographed by Angelo Garoglio, who collaborated during the recent years with Pneumofore in several graphic projects. A selection of high quality Garoglio pictures has generated a large interest of prestigious museums like Galleria d’Arte Moderna of Milan, which culminated in an exhibition in 2008. The importance of this event motivated the creation of a dedicated book with various texts by prominent Italian intellectuals and art critics. Pneumofore is involved as sponsor for the print of this book in collaboration with the editor Skira. On 13 October 2012 finds place the Vernissage of the Angelo Garoglio exhibition in Venice at Ca’ Pesaro, date which also represents the presentation of the art book. Pneumofore friends are welcome to ask a copy! The extended collaboration with a noted European company active in the petrochemical industry, specialized in vapor recovery units (VRUs), resulted in the ATEX Certification of the UV30 S Air End. The marking of the equipment is Ex II 2 G c T3 (-29° C to +50° C). The use of this pump is now allowed in open sky environment and is adequate for installation in Zone 1 or higher with the presence of explosive gases. All moving parts, which are possible trigger spots for explosion, are enclosed in the robust housing and extra sturdy side covers. The maximum surface temperature of this Air End in case of damage is 200° C and the environmental temperature can vary from -29° C to +50° C. F200 CleaningAlternative products did not meet the criteria of efficiency and reliability, causing excessive repair costs. 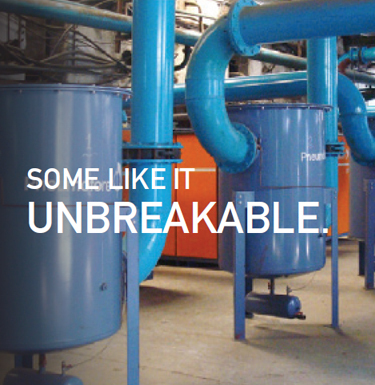 Years of R&D efforts allow today the full integration of Pneumofore UV30 S rotary vane Air Ends for the recovery of gasoline or other specific vapors, in depots or in customized VRU installations. Glassman Latin America was held at the World Trade Center in Mexico City on 15th and 16th May 2012. It has been the good opportunity for Pneumofore to notice the importance of the hollow glass market in Central America, with Mexico at the front, for the quantity of glass factories with a high potential of expansion and improvement. The presence of Pneumofore allowed to meet local glass makers and to propose the best vacuum solutions for IS machines, especially to save on energy consumption and to solve problems related to installations at high altitude or in hot climate conditions. Several processes at low pressure of about 2 bar(g) [43,5 psi(abs)], like pneumatic conveying in silos, use dry screws. But other applications are 24/7, with the bills for electrical power consumption, costs of maintenance and repair not being neglected. This is where Pneumofore A Series air compressors are installed, as the total ownership cost is considerably lower than other solutions. An important installation in Europe requiring 4 bar(g) [72,5 psi(abs)] with severe criteria of reliability and efficiency, is being prepared with a total of 6 compressors of model A180 and A260, the total nominal installed power is 660 kW [900 hp]. With 2,5 bar(g) [50,7 psi(abs)] as lowest pressure, these units can set the compressed air value with a precise digital pressure switch. The Pneumofore engineering team is happy to collaborate with intelligent customers who consider the long term operation and the total Life Cycle Cost, customers who know that the purchasing price of such an installation is about 8% of the total cost over 10 years only. Price dumping made by large competing companies, like discounts as high as 50% on list price, are ridiculous, as they still do not solve their important problem regarding long term operational, maintenance and repair cost. New 2-piece-can factories in Asia will be equipped with air cooled Pneumofore pumps. The capacity demand is almost 10.000 m3/h of vacuum at 100 mbar(a), the climate is tropical and cooling water is problematic. Where initially large piston pumps with inter-cooling operated, now customers with UV50 HC (Hot Climate version) pumps can profit from several important advantages: better vacuum with lower absolute pressure [mbar(a)] for higher production speed, minor power expenses due to less kW, no cooling water circuits due to elimination of towers and pumps and water costs, less noise, trouble free operation with only 2 service tasks per year, constant efficiency over decades and the all over minimal Life Cycle Cost offered by Pneumofore rotary vane pumps of the UV Series. The experience and the Return on Investment calculations speak clearly. 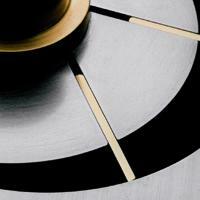 Any alternative, no matter if piston, screw or liquid ring technology, failed. Also did the copies of our rotary vane pumps, which do not achieve 3200 m3/h single stage, impossibly air cooled at 40°C ambient temperature. Customer names cannot be disclosed now, we’ll be pleased to add them to our reference list once their factories will run. 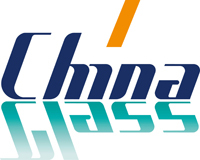 Once again China Glass confirms to be an International Show that the glass community simply cannot miss. The fair has been a meeting point for the glass industry in South East Asia and the presence of Pneumofore was important to meet the local glass makers. Several projects are on their way and the region, in spite of the general economic problems, is still investing in glass packaging. 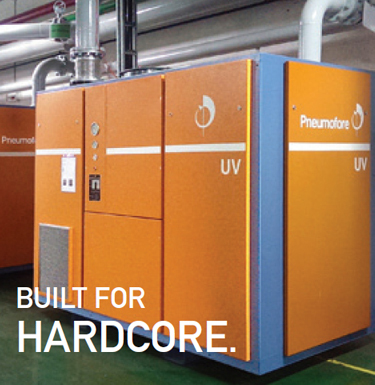 Pneumofore is already well established in PRC with the cooperation of Ninesun Consulting and is willing to consolidate its presence even further proposing its first class equipment to the top glass industry of the Country and neighbor countries. Severe flooding occurred during the 2011 monsoon season in Thailand. Flooding persisted in some areas until January 2012 and resulted in a total of 815 deaths and 13.6 million people affected. Sixty-five of Thailand’s 77 provinces were declared flood disaster zones and over 20,000 square kilometers of farmland was damaged. The disaster has been described as the worst flooding yet in terms of the amount of water and people affected. Entire industrial areas were out of production, but in 2012 the Industry reacted with surprisingly fast recovery.The Hollow Glass factory in Ayutthaya, that belongs to the BGI Group, had most of its production equipment damaged and needed to be repaired or replaced. In February 2012, the water level marks, 2 meters high, were still clearly seen on factory walls. Among the facilities, the Vacuum System had completely been restored with 3 new UV50 vacuum pumps. The Pneumofore solution allowed the easy installation and immediate start-up, at the end of February the units were commissioned trouble-free within one day, to full customer’s satisfaction. Coffee plants do not grow in Italy, but Italians are world famous for the strong, tasty espresso. Lavazza contributed massively to the exclusive promotion of Italian ‘good taste’ coffee. Coming from a solid family tradition, this customer of Pneumofore has a long term vision and understanding, supported by regular stylish advertising. Compressed air is used in various production steps, the total installed power is 450 kW, resulting from 6 air cooled, rotary vane compressors mod. U12, UP12 and UR12. The youngest unit is from 2002, the oldest compressor is from 1982, celebrating 30 years of continuous work, none ever overhauled, still running and motivating this news. Pneumofore is maintaining the 6 compressors with a check every 3 months, preventive service without unnecessary spare parts, limited to consumables. Because only the lubricant and air, oil and oil separation filter cartridges are replaced when needed. The rotary vane compressor of Pneumofore has no other service requirement to run smooth and fit for several decades. 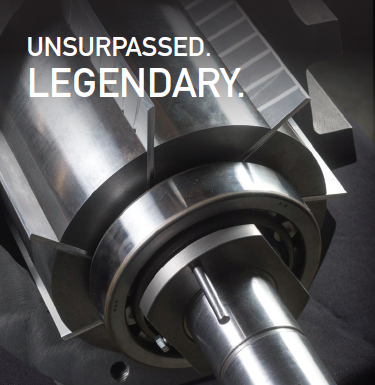 Our common tradition of innovation persists successfully, no fear of competition with such excellent results. Lowest ownership cost of industrial equipment like Air Compressors and Vacuum Pumps means lowest environmental impact, due to minor power consumption, thus less pollution. Also our manufacturing process is since 2002 according to the strict ISO 14001:04 Environmental Quality Certification, lately Pneumofore passed the audits for additional 3 years, until 2015. May we recall that our Company has been a pioneer also in this field of environmental management systems, long before most large, multinational competitors. Obviously our ISO 9001 Certification is even older and is constantly kept updated with procedures that involve all departments. This nature and efficiency and quality awareness is our sincere work attitude here at Pneumofore.